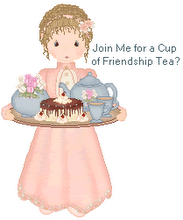 Friendship Tea: Happy Mother's Day! Enjoy a little quiet time with a nice cup of tea. Happy Mother's Day Mom, I love you!